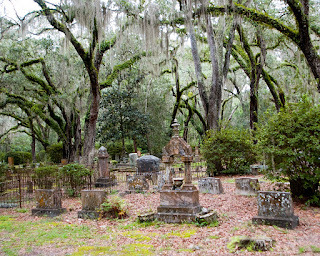 This is the old Micanopy Florida cemetery on a rainy and overcast day. It is an absolutely beautiful place. There is an occasional care driving by but otherwise it is quiet and peaceful. Micanopy is a historical gem in central Florida and well worth a visit. It is only a few miles from I-75 between Ocala and Gainesville.